Going into the Parliamentary Recess the Government has adopted twin strategies in the wake of its Chequers White Paper. Going into the Parliamentary Recess the Government has adopted twin strategies in the wake of its Chequers White Paper. Firstly, the new Cabinet team are being more assertive in the face of EU intransigence. We wait to see whether this means much. Secondly, preparations for ‘no deal’ are being stepped up. These ‘no deal’ preparations send out two simultaneous messages. The EU are being told that the UK has an alternative to a bad deal, but they are unlikely to believe this for a minute even if they are talking up their own ‘no deal’ counter-measures. The ‘no deal’ preparations are also being used as ‘project fear 2.0’ aimed at the UK electorate. It is no coincidence that support for a second referendum has overtaken opposition for the first time. Dominic Raab has proven similarly bullish in his first days as Brexit Secretary, branding Brussels’s fear-mongering over the risks of no deal ‘irresponsible’ and ‘obviously an attempt to try and ramp up the pressure’, and emphasising that UK payment of a £39 billion divorce bill is conditional on the EU ‘fulfilling its side of the bargain’. Meanwhile, the EU has reacted to the Government White Paper with characteristic inflexibility, with Michel Barnier ruling out the UK’s customs proposals. Further discussions of the plan is likely to take place at a meeting in Salzburg on 20 September, which has been billed as Theresa May’s ‘last chance’ to sell the Chequers plan to European leaders. Viewed as unworkable by Brexiteers, Remainers and EU officials alike, this looks like an act of persuasion May is ever more unlikely to pull off. The Tory membership are close to revolt, and an Autumn crisis is ineviatable. BfB co-founder Professor Robert Tombs has been touted as the face of ‘moderate Brexit’ by John Rentoul in the Independent (even if Mr Rentoul remains less than impressed with Robert’s stance on the Chequers agreement). Munira Mirza is an acclaimed essayist and writer, as well as a former Deputy Mayor for Education and Culture in London. In 2012 she published her book ‘The Politics of Culture: The Case for Universalism’. She talks to the BfB podcast about her support for a more liberal immigration system than that available within the EU, and also touches on the narrow-minded reaction to Brexit displayed by those working in the Arts. Kate Hoey, MP – Thank goodness we are now leaving the EU! Kate Hoey, the ardent and long-standing Brexiteer Labour MP for Vauxhall, discusses what she thinks Brexit means for Britain and her conviction that this will ultimately be good news for Britain. 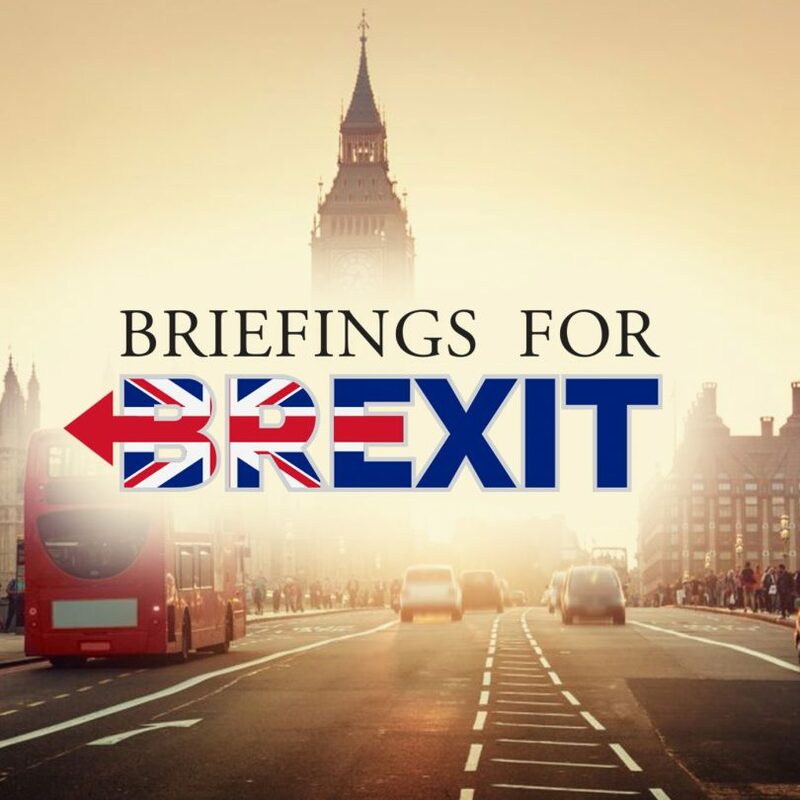 In this lively podcast, Hoey also discusses the ‘monstrously stupid’ scare stories about a No Deal scenario given airtime on the Today programme, and her views on the recent Select Committee appearances of Olly Robbins and Dominic Raab. Prof Richard Tuck, Professor of Government at Harvard University, argues that leaving the EU is essential to restore trust and transparency in our politics. While debate within a democracy like the UK has to operate openly, the EU, as an intergovernmental organisation, encourages secrecy and mistrust. Nicholas Thompsell and John Worthy, partners at Fieldfisher, look at how the UK government proposals will affect businesses in the financial services sector. This useful guide examines the pros and cons of the Chequers proposals. Paul Sheard is the former Vice-Chairman and Chief Economist of S&P Global, which includes the international ratings agency, Standard & Poor’s. He argues that the EU needs to recognise that a flexible, political approach to negotiations is the best way to guarantee sustainable future relations with the UK. Instead, however, they have been trying to operate through a fixed, technocratic approach. Rob Lee contends that the recent White Paper on Brexit offers no realistic prospect of future trade deals, no effective parliamentary control over many of our laws and regulations, the continued supremacy of the ECJ in key areas, and no independent immigration policy. Thus the probability of the “no deal” scenario has risen dramatically. The Subscribers’ Views page on the website allows subscribers to submit their own articles. Submissions welcome. We’ve recently added two new posts. Sir Peter Marshall advocates rebuilding the World Trade Organisation, which has never had the clout nor the resources required for it to do its ever-expanding task. In this light-hearted article, Nick Pimlott and George McLellan argue that Competition lawyers are steeped in EU law but forget the English origins of law on competition and monopolies. 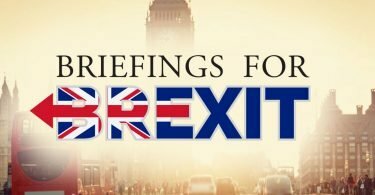 We are also on Twitter at https://twitter.com/briefing4brexit retweeting the daily events that bring Brexit to the fore in the National News. This week has seen a particularly impressive response to Kate Hoey’s podcast appearance, which on the latest count has received 47 replies 521 retweets and 1,068 likes. Discussion continues on Facebook, with a particularly strong response to Munira Mirza’s podcast. Alice Digby comments, ‘Brilliant upbeat interview. Thank you Munira and Briefings For Brexit.’ Carol Haley adds, ‘Beautifully put. If only our so called leaders would engage with the Leave people instead of appearing to only take note of the remain sides wishes and wants!’.